Who doesn’t like twice baked potatoes? Well it only gets better Eat Your Cannabis have put together a great way for you to prepare your party treats. These bad boys are great for any occasion and the taste is amazing. Let us know what you think. Enjoy! 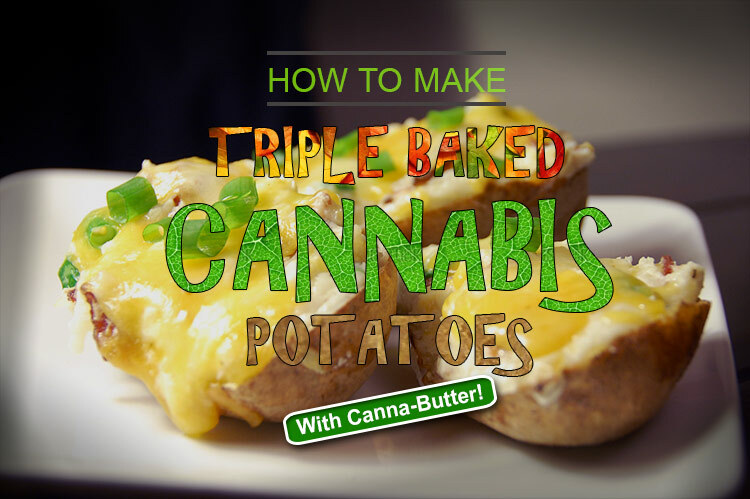 Mix the scooped potato flesh, sour cream, CannaButter, salt and pepper together. Mix until very smooth. Add toppings as desired. Eat and enjoy! For more great stoner cooking recipes please check out our Stoner Cookbook blog. Thanks & Enjoy! This entry was posted in Stoner Blog, Stoner Cookbook and tagged cookbook, menu, stoner. Alcohol Vs. Marijuana: A Fair Fight?